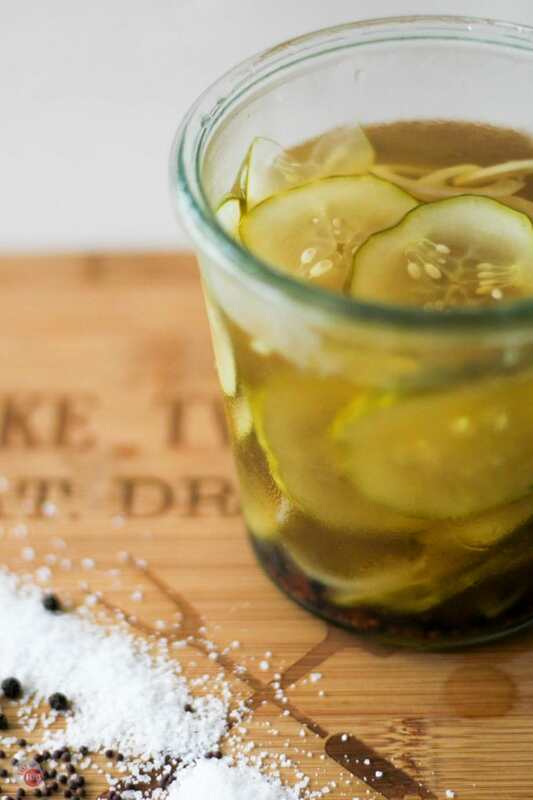 Tangy, spicy, and sweet homemade refrigerator pickles are quick to make and add another level of flavor to burgers, sandwiches, and even nachos! Summer is here and everyone’s garden is overflowing with vegetables that are perfect for making homemade refrigerator pickles. Well, not mine because I don’t garden because of my black thumb condition. It is safe to say that the most popular pickles are made from cucumbers but I have pickled beets, red onions, boiled peanuts, and red cabbage in the past. Time to try my hand at the original pickle, cucumbers! Skeptical as to how they would turn out, I was pleasantly surprised these turned out so darn tasty. A good sign of their tastiness is my husband polishing off the jar in less than an hour. I had to move some to another container or risk him eating them all before I could use them in my next recipe much less photographing them. Because I am making nachos this month, I’m guessing you are trying to figure out why I am putting pickles on my nachos. I recently made a Gyro sandwich into nachos and these pickles are an important part of my upcoming recipe that is much like the Gyro Nachos. A sandwich turned into nachos! When I decided to make these nachos I knew that I had to make my own recipe for the pickles so it would make them taste even better! Plus, I wanted everyone else to know that making your own pickles is easy! Refrigerator pickles are not the same as making pickles that you store in your root cellar all winter or the ones you buy in the jar at the grocery store. These are made with a “quick pickle” technique and made in small batches because they only last for a few weeks. 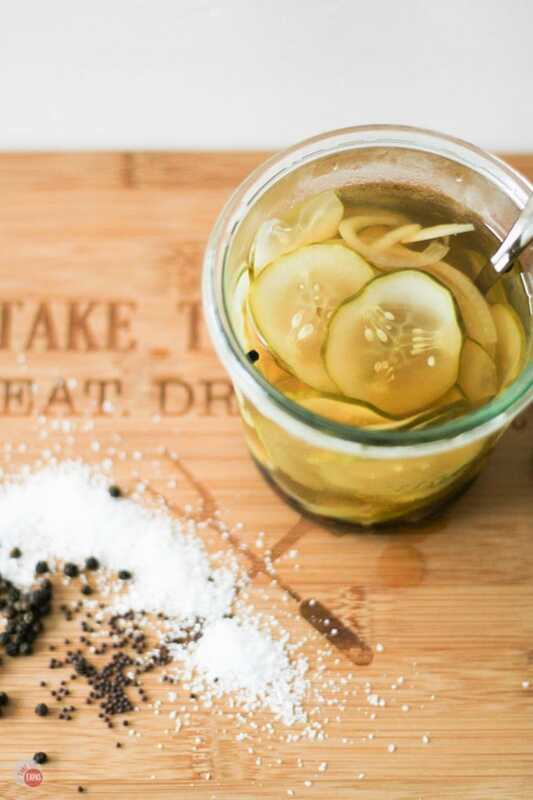 Pickling is actually the process where you are preserving food in a high-acid state to keep bacteria at bay and is achieved with salt and vinegar. Slice or dice vegetables or fruit thin or in small bite-sized pieces. Be sure to keep the sizes the same so all the pieces “pickle” evenly. Place the vegetables or fruits into a heat-proof, preferably glass, jar or storage container. I love these. Boil a mixture of vinegar, water, salt, and seasonings. Pour the hot liquid over the vegetables/fruits and stir slightly to remove air bubbles. Seal tightly and store in the refrigerator until cold or at least 4 hours. Keep store in the refrigerator until eaten. This technique differs from traditional canning in that you are just giving the food a little salty acid bath to hang out in until they get eaten. Becuase you are not using heat or pressure, they are not shelf-stable like canned or the jarred pickles you get at the store. But trust me, they won’t last that long. Traditional canning which was used to preserve summer fruits and vegetable food through the winter months requires water baths, special jars, and sometimes special pressure cookers. This technique focuses on cooking the foods to a temperature safe to kill all the bacteria in and on the foods and then removing the air from the containers so no more can grow, thus making the food shelf stable. 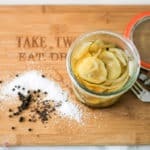 The traditional canning technique is great especially if you want to preserve the flavor of the foods and not necessarily make them sour, vinegary, or salty. 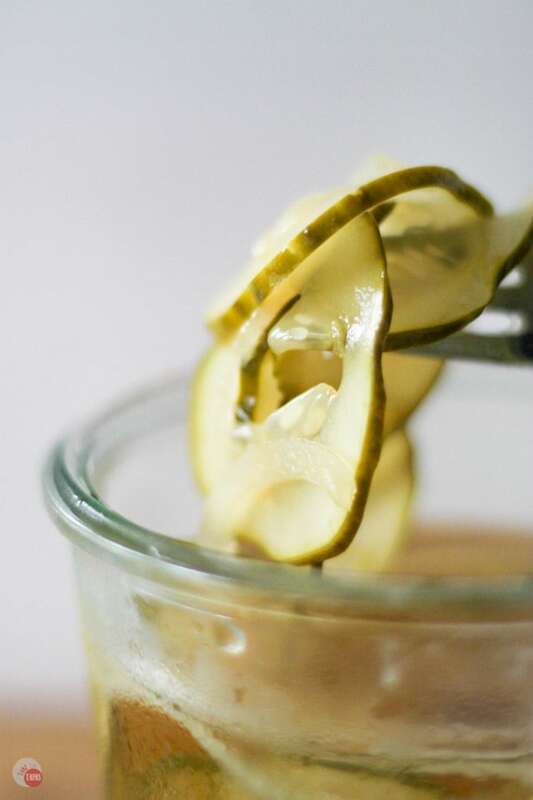 Because these homemade refrigerator pickles are going to be used on my nachos and not sitting in my root cellar all year, the quick pickle technique is perfect. A few simple ingredients, 5 minutes of your time, and you are all set to dress up your burgers, sliders, hot dogs, and yes, even your nachos! If you are not growing your own cucumbers in the backyard, you know I am not because I have a black thumb, you can just grab a few from the market. Just make sure they are not looking or you will have to pay them with a jar of homemade refrigerator pickles. Which might not be a thing anyway. What vegetable will you turn into homemade refrigerator pickles with this quick technique this summer? If you make some pickles this summer, post a pic and tag me on with the hashtag #HomemadeSummerPickles! Place sliced cucumber, onion, peppercorns, and mustard seeds in a glass jar. I use Weck jars but a quick mason jar or glass bowl works too. In a medium-sized saucepan, bring the vinegar, water, salt, and sugar to a boil. Lower the heat to a simmer and stir until the salt and brown sugar dissolves completely. Gently pour the hot liquid into the jar over the cucumber and onion mixture. Make sure that all the cucumber and onion slices are submerged poking around if you need to. CAREFULLY tap the jar or bowl to remove any trapped air bubbles. Cool, cover, and store in the refrigerator until ready to add to your favorite food. Oh wow, that does look really easy! I’m going to have to try this! My kids would love me forever if I made these. They love pickles to death. Thanks for a great party! I hope your kids love them! This is a really cool recipe, I’m going to pin this to try. Where do you get your Weck jars? This sounds delicious!! 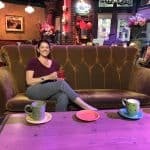 Thanks for sharing on the What’s for Dinner Linky! I’ve always wanted to try making my own pickles! Thanks so much for sharing your recipe with us at Share The Wealth Sunday…I can’t wait to try it out! Thank you so much! I hope you like them! My husband loves pickles. I’ll have to try these for him. Thanks for joining the Family Joy Link Party!